That the term Design-Art arose, became a popular buzz-phrase and came to represent a widely vilified genre in a period of less than ten years is remarkable. Many were happy to see it go, arguing that it implied design needed to associate itself with art to gain gravitas. However to those of us interested in what disciplines can learn from one-another Design-Art seemed a rich new area of study, even if much of the work it came to be associated with was of dubious integrity. Hence when given the chance to teach a class on object-making at the boundary of design and sculptural practices with colleague and sculptor Dan Price, revisiting and re-framing Design-Art became a central concern. The class was called The Collectible Object and this post was originally written for the catalogue of the student exhibition of work at the NADA Art Fair in New York that marked the conclusion of the class. What happens when disciplinary boundaries are intentionally blurred? Are we able to identify something new, something exciting, something we would not have otherwise seen? 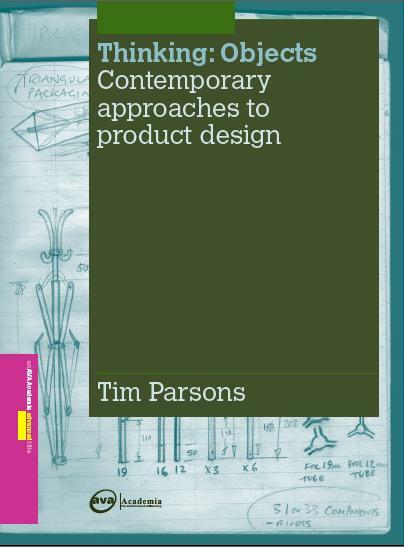 Coming from an industrial design training, ten years of teaching three dimensional design in universities and writing a primer on contemporary product design, the approaches and processes of design feel like second nature to me. Most of my teaching practice involves explaining and enacting these processes rather than challenging them yet I am aware that they must be challenged to move the discipline forward. Ah, there’s that word again, discipline. So harsh-sounding. The headmaster with the cane. What would we do without discipline? Total anarchy is unappealing. We need markers to orient ourselves, but my two and a half years at SAIC have taught me that the most engaging works occur when disciplinary norms are questioned or overturned. The Collectible Object class has been central to this realization. Since writing my graduate dissertation on why some designers had taken to using found objects in functional works, I was aware of at least one convergence of art and design practice. 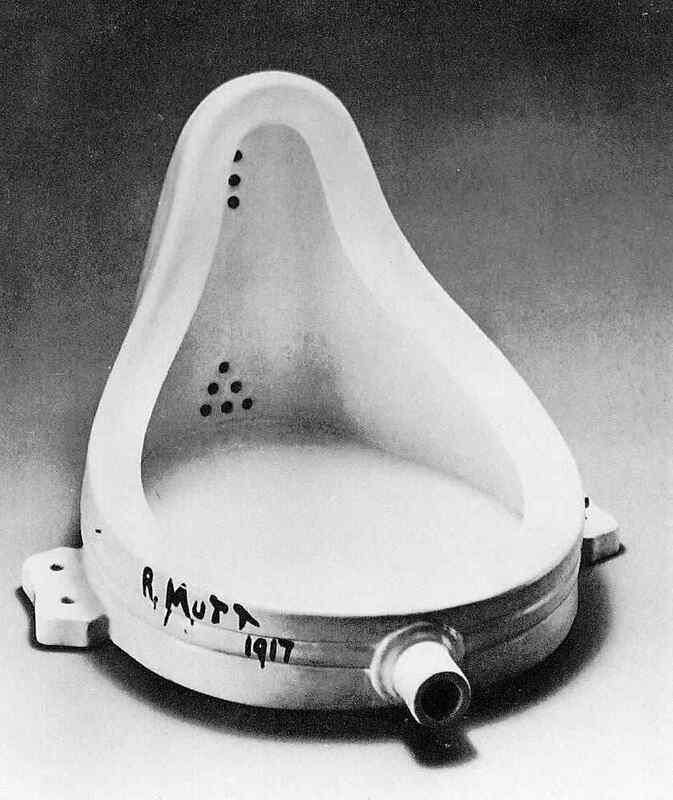 The Castiglioni brothers acknowledged the influence of Marcel Duchamp and his notorious urinal (fig. 1) – the most famous “ready-made” – when they designed their Mezzandro tractor seat chair (fig. 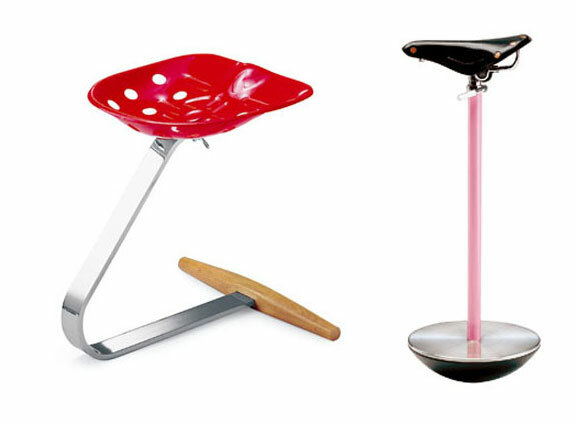 2) and Sella bicycle seat stool (fig. 3) in the 1950s. After charting this practice through the second half of the twentieth century and being taught by some of the main protagonists (Ron Arad, Jasper Morrison and Michael Marriott) the possibilities delighted me. Upon moving to America I sought local objects to work with and this gave birth to a series of tables called American Ad Hoc (fig. 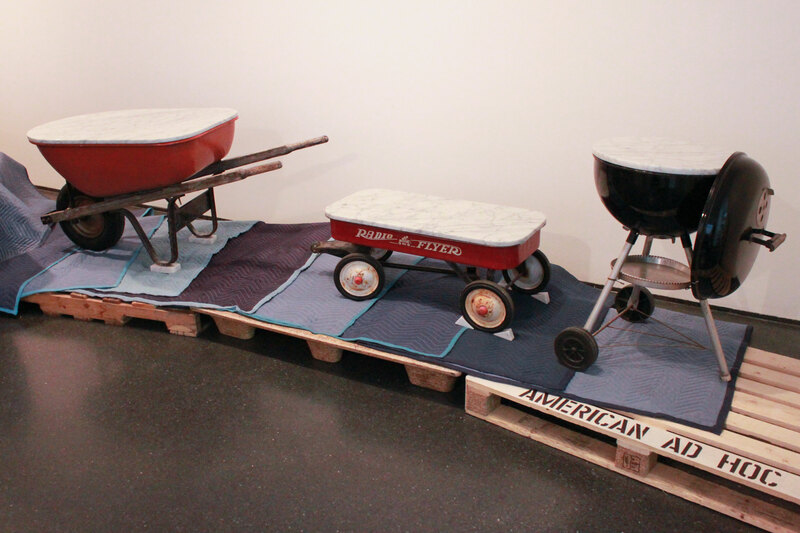 4), where used versions of classic utilitarian objects, the Radio Flyer cart, Weber Grill and typical steel and wooden wheelbarrow were “retired” into the home by fitting them with bespoke marble table-tops. When giving a lecture about the subsequent exhibition at The Museum of Contemporary Art, Chicago that featured the tables, I met Dan. The School of the Art Institute is rightfully proud of the fact that its open undergraduate and MFA course structures provide an environment where interdisciplinary working is facilitated and encouraged. However, as Dan and I realized through our discussions, while a student can choose a cross-disciplinary set of classes, the classes themselves tend to remain rooted in one realm or another. There was an opportunity, it seemed, to create a class where the interdisciplinary nature was in the foreground and would be openly discussed and acted upon. Fortunately our plans meshed with those of the school’s leadership who instigated the Art/Design Nexus initiative to encourage just such collaborations. 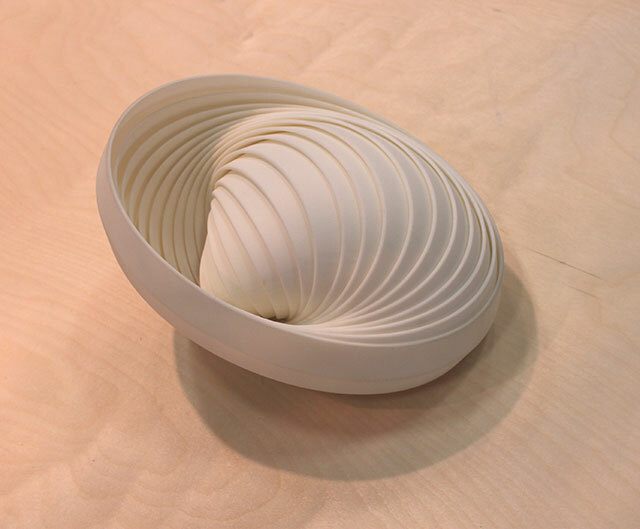 We were offered financial assistance to run a class that would allow a select group of students from across the school to make works that questioned distinctions between sculpture and object design. Another key component to my interest in this intersection was that since joining SAIC I had been following the discussion and controversy surrounding the emergence of the compound term design-art. This neologism, I learned, had two apparently independent origins and meanings, one emerging from art practice and the other from the market for collectible design. To the artists using the phrase, design-art emerged from their desire to break down the rarefied confrontation with art and the autonomous viewer-artwork relationship (1). It can be seen as part of a conceptual lineage related to performance- and public art and, more recently, the relational art proposed by critic and curator Nicolas Bourriaud in which the potential of works to generate human interaction is brought to the fore. While this reading of design-art emerged as a philosophical stance, the market driven use of design-art had no such intellectual underpinning. Coined by Philips auctioneer Alexander Payne it came to denote one-off, limited edition or low volume production domestic products and furniture that command high prices due to their labor intensive making processes, expensive materials, symbolic qualities and/or the reputations of their creators. While not a new genre of work, (we have long described such pieces as decorative or applied art), design-art came into use as the market for such works was swelling. The key reason the word art was paired with design by dealers was that much of the money that created the boom came from collectors of art expanding their collections into design. Fairs such as Design Miami emerged to service just such a market. The only unification in design-art, it seems, is amongst those who object to it, and even this group is fractured between those who feel the term is problematic but are prepared to embrace some of the work and those with a philosophical stance against it. 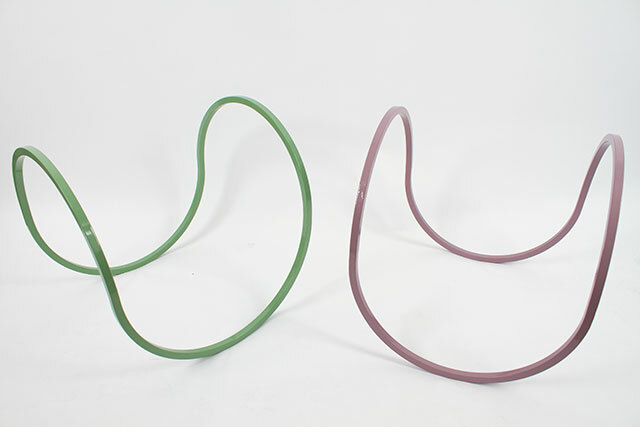 The latter position, put most feverishly by Swedish design entrepreneur David Carlson, (who characterized design-art as “Vulgarism”) is based around the perspective that design art is a wholesale rejection of the Modernist project including the democratic mode of production, that it is a backward looking return to arts and crafts values, and it uses the art market as an opportunity to create trinkets for the contemporary bourgeoisie (2). With such a backdrop, which we openly discussed in class, it was unsurprising that both students and faculty steered clear of design-art as a label for what we were doing. Even the course title The Collectible Object was an attempt to say design-art without using the term. It attempted to evoke work that addressed the market by being desirable, consumable and durable yet did not follow conventional typologies of high design or art. The resulting works have done just that while avoiding pandering to conformist notions of value such as the application of expensive materials for their own sake. 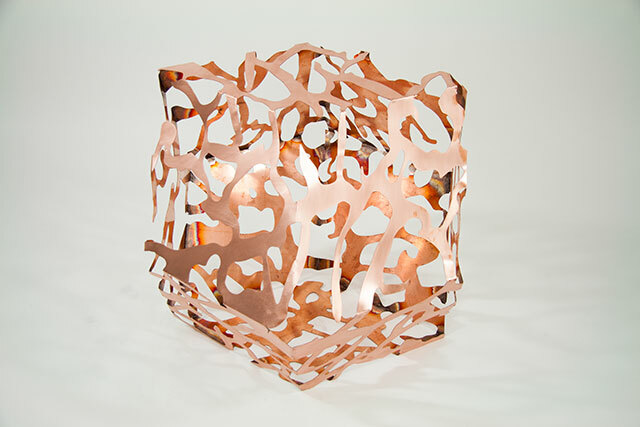 Each project stands on its own conceptual legs and collectively they present a re-thinking of what design-art could be. Matter of fact descriptions of the works are, in themselves, compelling: biofoul jewelry, geometric mouse taxidermy, intentionally imperfect furniture, book-matched filigree copper polygons, brass space demarcators, the list goes on with the objects critically challenging the archetypes they reference or suggesting new ones. Even the catalogue in which this text first appeared – one of the nine works – re-thinks the gallery exhibit catalogue, replacing stilted essays and studio photographs with interpretations of each project tailored to the practitioner’s experience. 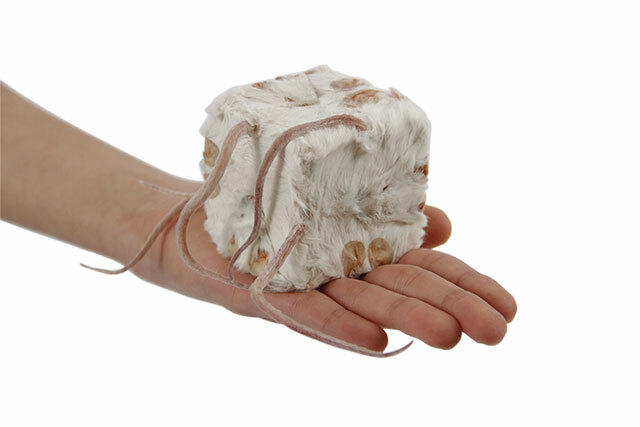 As the title of the final exhibition Functional Fiction suggests, the works (figs. 5 – 9) share an oblique attitude to functionality, most being deliberately ambiguous as to how they might be used and challenging the viewer to explore their potential. Rather than deliberately baffling us, the objects invite speculation and draw us in to explore possible uses and interpretations. 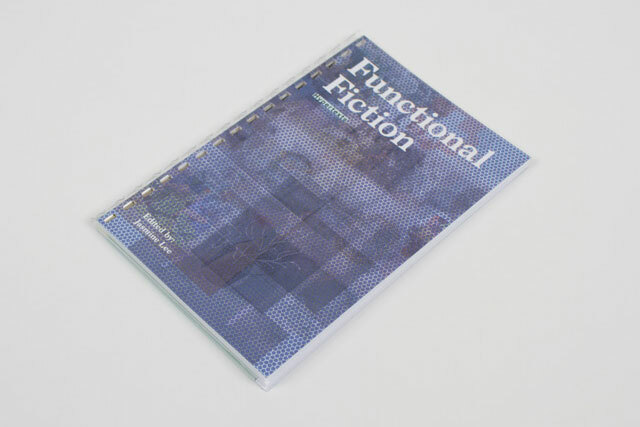 Functional Fiction is a phrase adapted from a list of contrasting pairs of phrases that designers Anthony Dunne and Fiona Raby created in 2009. Known for pioneering a critical and speculative approach to design, Dunne & Raby currently run the Design Interactions graduate programme at the Royal College of Art. The list was a way of differentiating their practice from the way most people consider design to operate. In this list Functional Fictions was paired with Fictional Functions. 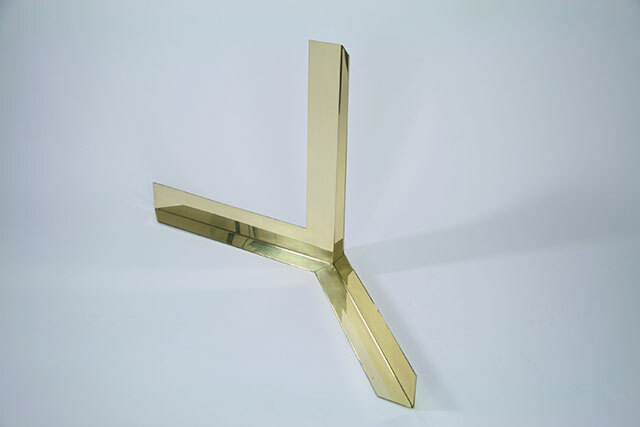 Dunne and Raby use Fictional Functions, to describe the status-quo in everyday in objects like mobile phones where the majority of functions are never used. Essentially fictional, they are simply there as a sales technique. On the contrary Functional Fictions describe objects that though fictional in the sense of being prototypes, are nonetheless real, functional and address genuine needs, though these are often intellectual or psychological rather than utilitarian. Here, Functional Fiction signifies a collection of works and an attempt to re-frame design-art away from aspirational “bling” and towards the cerebral, tactile, expressive and compelling. We hope you enjoy the works.